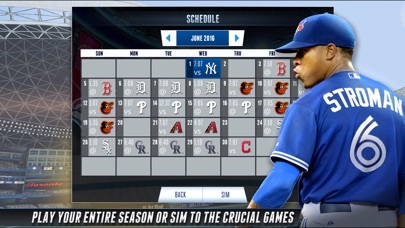 Follow: https://twitter.com/RBIGAME Like Us: https://www.facebook.com/mlbrbigame/ ----------------------------- © 2016 MLB.com. All rights reserved. 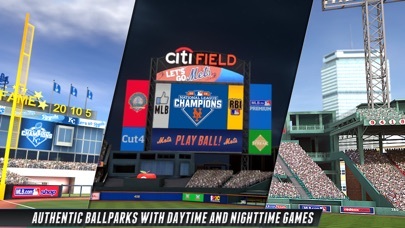 OFFICIALLY LICENSED PRODUCT OF MAJOR LEAGUE BASEBALL PLAYERS ASSOCIATION-MLBPA trademarks and copyrighted works, including the MLBPA logo, and other intellectual property rights are owned and/or held by MLBPA and may not be used without MLBPA’s written consent. 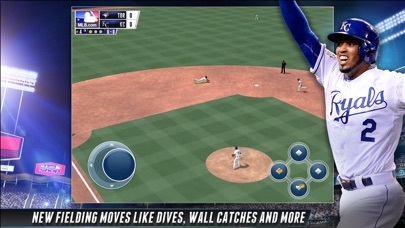 Visit www.MLBPLAYERS.com, the Players Choice on the web. This game is Terrible because, I want Camden Yards but it costs money and I want Chris Davis but I have to get things to get him! This game is trash I don’t know why the CPI can hit the ball over the fence over and over when the ball is hitting the ground. Then when you are hitting the ball goes nowhere and it is really really buggy. The reason that I gave this game one stars is because I couldn’t send it with zero stars and the reason I give it a zero is because it SSSSSSSSSSUUUUUUUUUUUUCCCCCCCCCCCCCKKKKKKKKKKKKKKKSSSSSSSSSSSSSSSSS!!!!!!!!!!!!!!!!!!!!!!!!!!!!!!!!!!!!!!!!!!!!!! This game would be 10x better if they included a couple things. 1.) 2017 WBC Teams 2.) Allowing to wear any uniform during season mode 3.) Multiplayer 4.) Custom teams This game is great, but wouldnt u agree this needs to be added??? 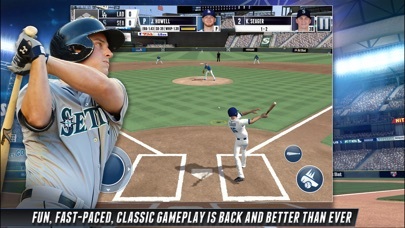 RBI Baseball 15 is much better, overall. A fraction of what it could and should be. Reach out to me and hire me for the next version. There is so much missing here and so much they could be here I can't even begin to put it in this space. And I don't work for free. 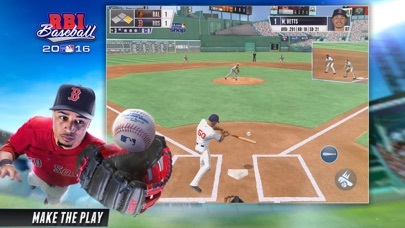 Whenever the CPU or my team are fielding they have no mits and sometimes when the second baseman or shortstop receives the ball his head is cocked 180 degrees.